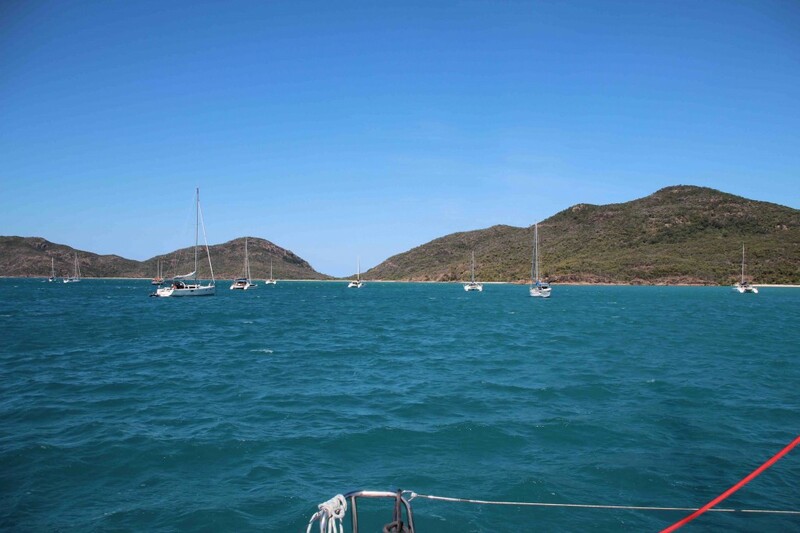 We sailed around to Shaw Island and arrived just ahead of the pack which had used Lindeman Island as their night anchorage. We found a spot out to one side that hopefully keeps up out of their way. One vessel dragged mid-morning in the middle of a big gust of wind. That had us all standing on our back decks hopping from one foot to the other. They managed to re-set the anchor and are now happily rocking like the rest of us. An interesting vessel has shared our anchorage for the last three nights and I had to look them up – I sound like such a stalker – because many boats have an interesting heritage. 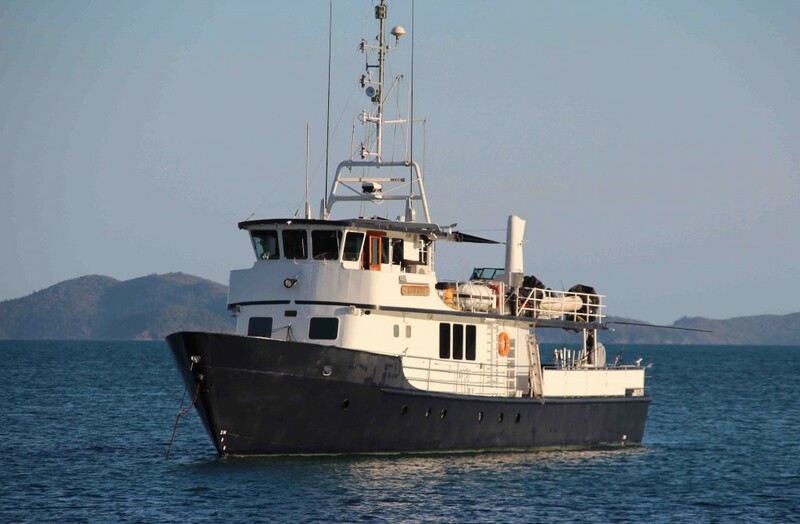 This one took some digging, but she’s a retired New Zealand Naval Patrol Boat that has an ice-strengthened hull, amongst other handy features, who’s been turned into a charter vessel. Their veggie garden makes mine look like an amateur attempt! I think it’s lovely that vessels like that can find a second home as there’s nothing sadder than seeing a grand old lady cut up for scrap metal. Tonight we’re hoping the winds ease a little. We’ll probably stay in the lee of Shaw for another day – apparently there’s a walk across the island (thanks, Brett Swann) so I’ll drag Capt G ashore tomorrow to explore. 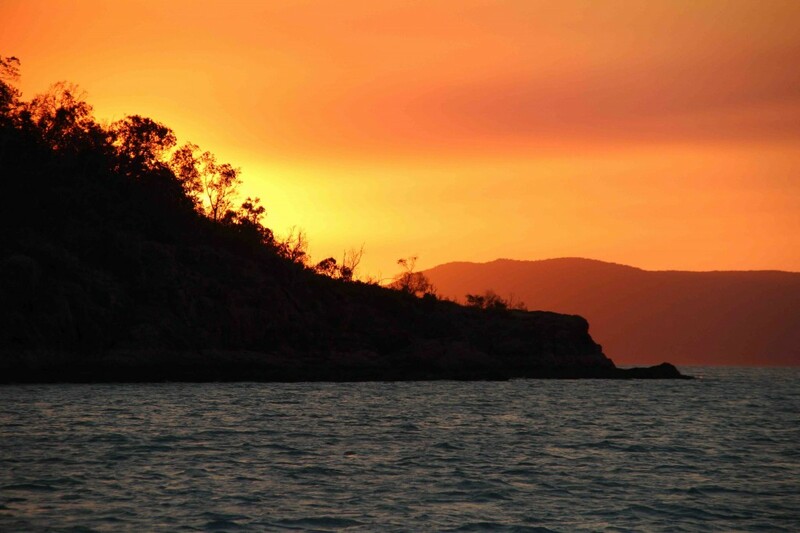 There’s smoke over the mainland – probably a cane farmer enjoying a good burn-off – so the sunset was glorious again tonight. 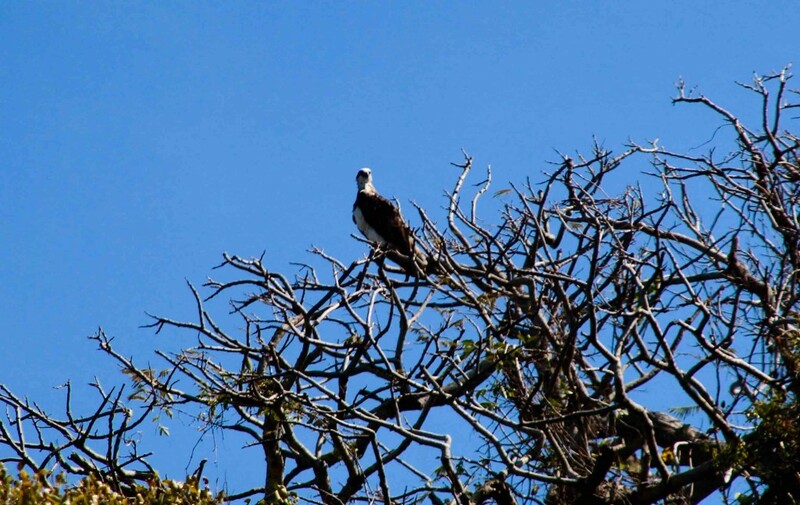 And I thought I’d share a photo of an osprey that was nesting at Pelican Island. 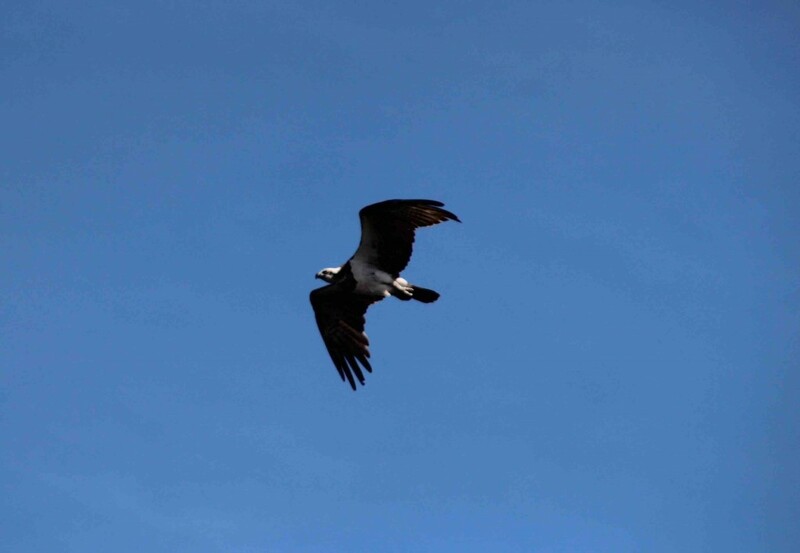 Blog Australian Romantic Suspense, Border Watch, Burning Lies, Half Moon Bay, Helene Young, Lagoon 400, Lindeman Island, Northern Heat, Osprey, Penguin Australia, Roobinesque, Safe Harbour, Sarasu, Shattered Sky, Shaw Island, Whitsunday Islands, Wings of Fear. permalink.